In today's post, I am going to write about what is Pseudo header and why it is important to calculate CheckSum of TCP and UDP packets. Let's Directly Focus On Our Important Questions. Q 1. What is TCP/UDP Checksum? Ans. As we already know that our world wide web is very very big and there are billions of billions of packets are flowing on the network from one point to another point through different types of gateways, switches, router and IOT. So, The possibilities of errors or corruption in any packets are very high. Hence, this problem provides a solid reason to add the concept of checksum in TCP/UDP packets. Basically, Checksum is one of the types of the hash value calculated from the checksum algorithm. In Other Words, The TCP/IP checksum is simply used to detect the corruption of data over a TCP or IPv4 connection. As i already told you, corruption of data over internet network has high possibilities. If a bit is flipped, a byte mangled, or some other badness happens to a packet, then it is highly likely that the receiver of that broken packet will notice the problem due to a checksum mismatch. This provides end-to-end assurance that the data stream is correct. Q 2. What is Pseudo header? Ans. In Simple words, Pseudo header is one type of demo header that basically helps in calculating the CheckSum of TCP UDP Packets. 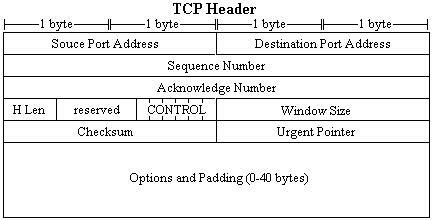 From the TCP or UDP point of view, the TCP packet does not contain IP addresses. Thus, to do a proper checksum, a "pseudo-header" is included. It's "pseudo", because it is not actually part of the TCP/UDP datagram. It contains the most important parts of the IP header, that is, source and destination address, protocol number and data length. to create a pseudo-header, here is the rationale, which is highly relevant. is, and how it may be fragmented in the process of delivery..
information in the TCP application. change the SA and DA because they are meaningful. would have had to use a DSA instead of the current checksum). because NAT is inherently a "man-in-the-middle" attack!). more secure and safe Internet, while preserving its open character. Q 3. How Pseudo header Structure looks like? As you can see in above diagram, the pseudo header contains the most important parts of complete packets. for example, the source address from IP header, destination address from Ip header, Protocol from IP header, TCP Segment length etc. As you can see in above diagram, At the end to find or calculate the checksum value, clients need to add Created Pseudo Header And TCP Segment and Then use checksum algorithms to calculate the hash value.